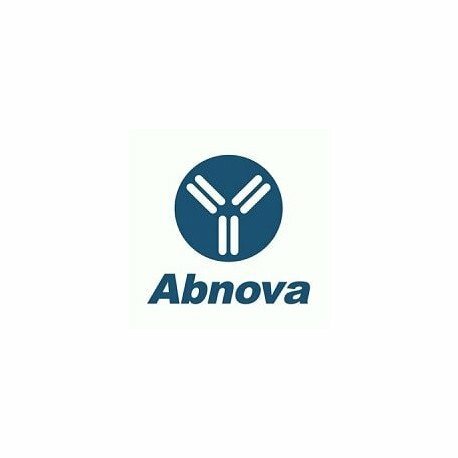 Product description: Rabbit polyclonal antibody raised against partial recombinant PTPN13. Immunogen: Recombinant protein corresponding to amino acids 1279- 1883 of human PTPN13. Application image note: Immunocytochemical analysis of PTPN13 in cell lines. Using PTPN13 polyclonal antibody (Cat # PAB0256) at 1 : 2000. 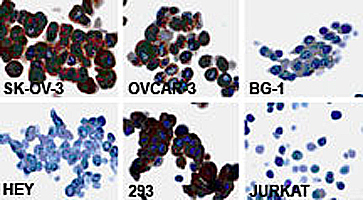 In ovarian carcinoma cell lines PTPN13 expression was detected in SK-OV-3 and OVCAR-3, but not in BG-1 or HEY. Human 293 kidney and Jurkat T cell lines were used as positive and negative controls, respectively. The staining data correlates with the western blot data (figure to the left) . Publications: Expression and potential role of Fas-associated phosphatase-1 in ovarian cancer.Meinhold-Heerlein I, Stenner-Liewen F, Liewen H, Kitada S, Krajewska M, Krajewski S, Zapata JM, Monks A, Scudiero DA, Bauknecht T, Reed JC. Am J Pathol. 2001 Apr;158(4):1335-44.